Summits: The chapter lists two summits, Yew Bank at 678 feet above sea level and Wool Knott at 730’. However, some observations. First, the allocation of fells to chapters in this region seems a little arbitrary. Wool Knott would be as logically listed with Beacon Fell, which it is rather nearer (and more naturally connected) to than it is Yew Bank. Then there is a third summit, Bell Knott, within the landform, indicated on Wainwright’s map and quite obvious ‘in the flesh’, but not listed as one of the 116 in the book. 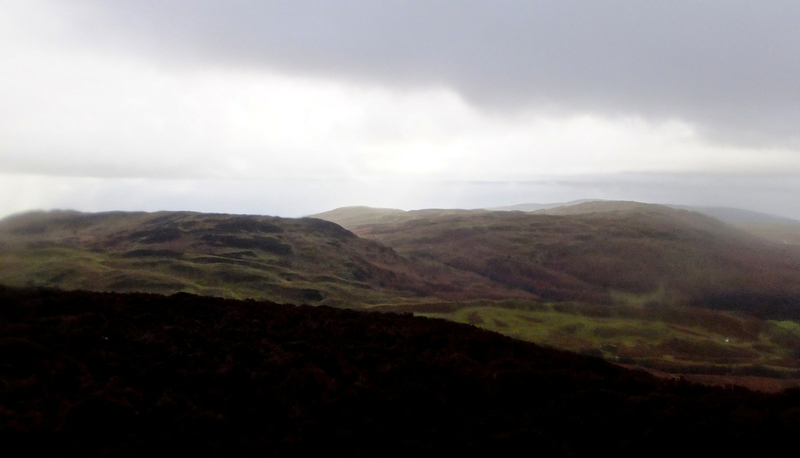 Route of ascent and descent: First visit: Approached Yew Bank from Beacon Fell, and left Wool Knott for Blawith Knott. Second visit: I again did Yew Bank first, but this time, came up from the valley below, via the lane that ends at the farm of Haveriggholme. Not outlined in the book, but a decent way up. This time, left Wool Knott for Beacon Fell. View from Yew Bank. Bell Knott (connected to Wool Knott) and Blawith Knott are the rises on the ridge. And yes, it’s raining. What I say: Wainwright gives Woodland Fell a pretty good write-up and there certainly are some decent things about it. 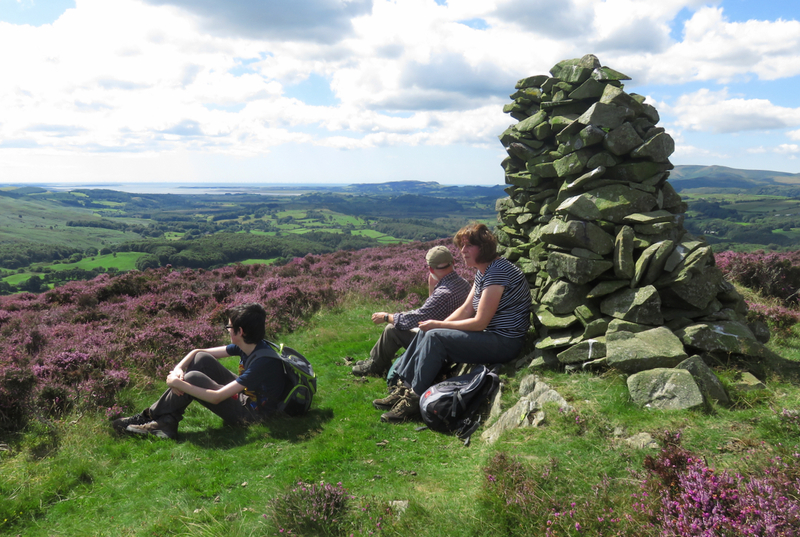 Both summits are worth a visit and in August the top of Yew Bank will be a riot of purple heather. 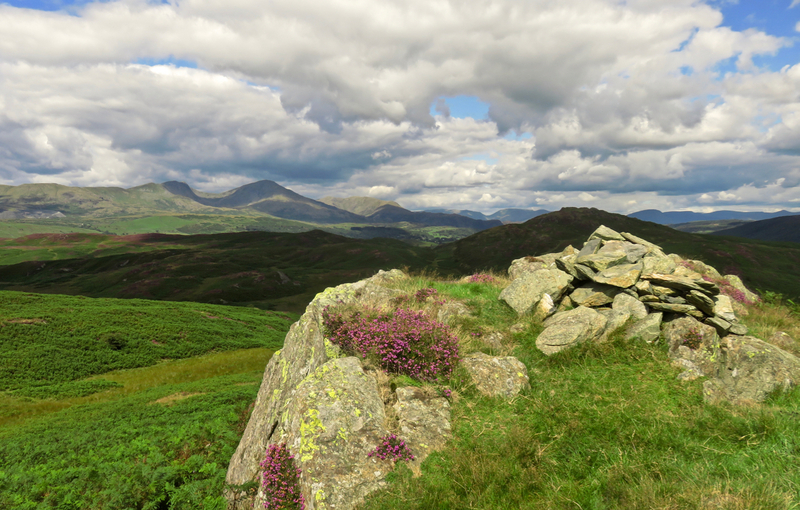 The problem with Woodland Fell is not its two summits, therefore; it’s the walk between them. Wainwright very much underplays its difficulties in the book. 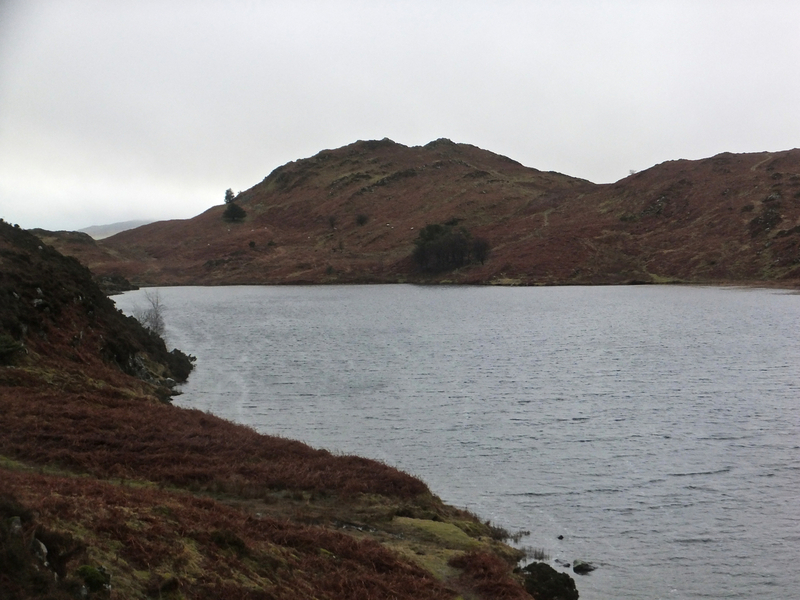 I have done it both in summer and winter now, and on both occasions it was quite unpleasant thanks to a variety of factors including bracken, dense heather, a lack of paths, and some unexpectedly deep gullies. All of this afflicts, unavoidably, any attempt to traverse between the two tops. My suggestion, therefore, is to do Yew Bank on its own (on a sunny day in August), as part of an easy ramble south from Torver or Coniston and ending somewhere like Kirkby or Foxfield. Then, bag Wool Knott along with Beacon Fell, with which it is far more logically associated. Both would be good, simple walks not defaced by the dross in the middle.